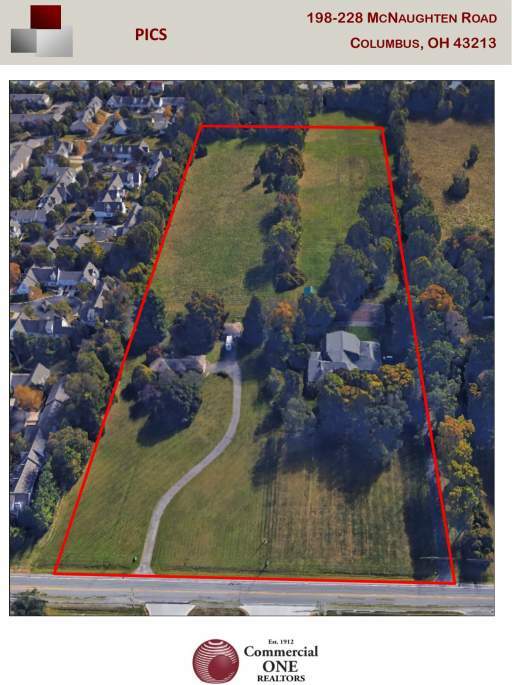 From 7.5 up to 15.0 Acres of Development Land available on McNaughten Road, just South of E. Broad Street.Two parcels, 7.5 acres each. Property is 1,000 Feet from Mount Carmel Hospital East and 2 Miles from John Glenn Columbus International Airport. Properties are currently Zoned Residential, with High Density Residential Zoning in the immediate area. Owners are willing to sub-divide and allow buyer time for re-zoning and annexation. Properties have 490 LF of Frontage on McNaughten Road. All utilities available. The two existing residences are occupied, please do not enter properties without scheduling a showing.